Current correction turns out to be deeper that we expected. Possibly, later price may rebound from local level of 50%. If it happens, pair will start new ascending movement towards upper fibo-levels. 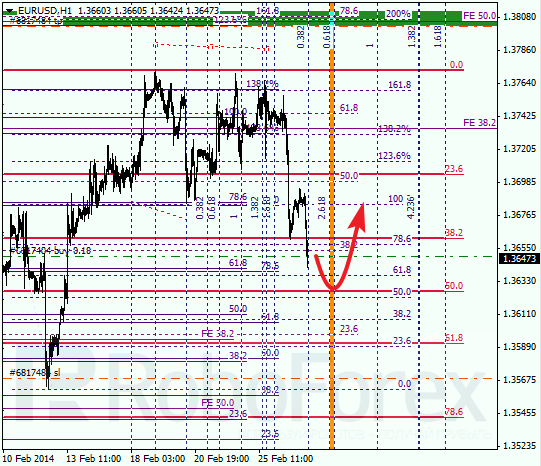 As we can see at H1 chart, price rebounded from one of intermediate levels and stated new correction. 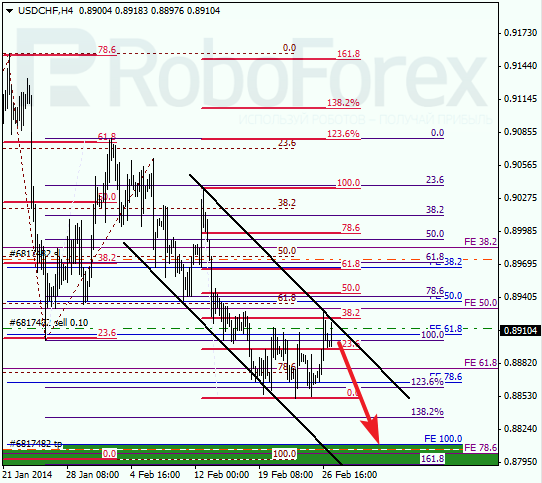 According to analysis of temporary fibo-zones, level of 50% may be reached during the day. If later price rebounds from it, I’ll increase my long position. 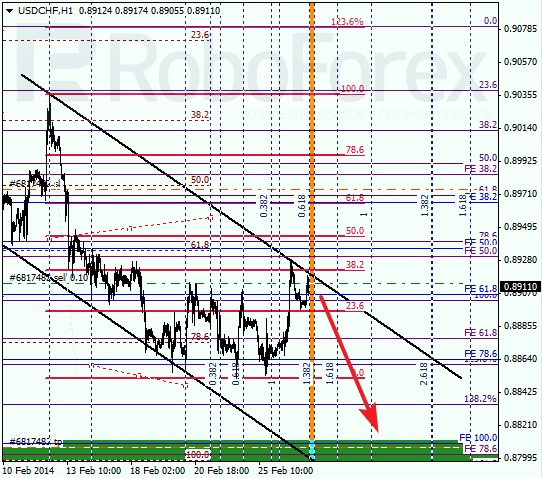 Franc rebounded from local level of 38.2%; right now, price is trying to rebound from upper border of descending channel. I’ll move stop on my sell order into the black as soon as market starts falling down. 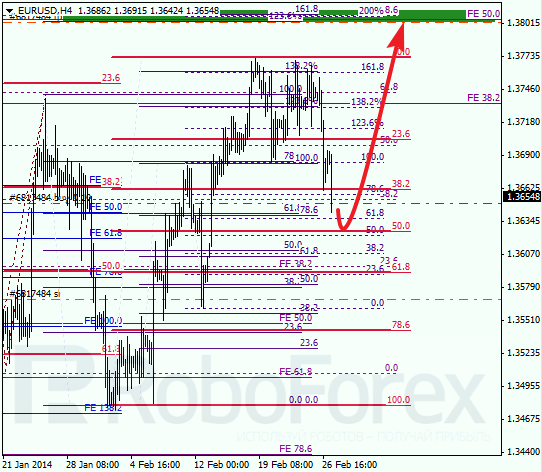 At H1 chart, price is getting closer to temporary fibo-zone. Possibly, pair may start new descending movement quite soon and break previous minimum by Friday.